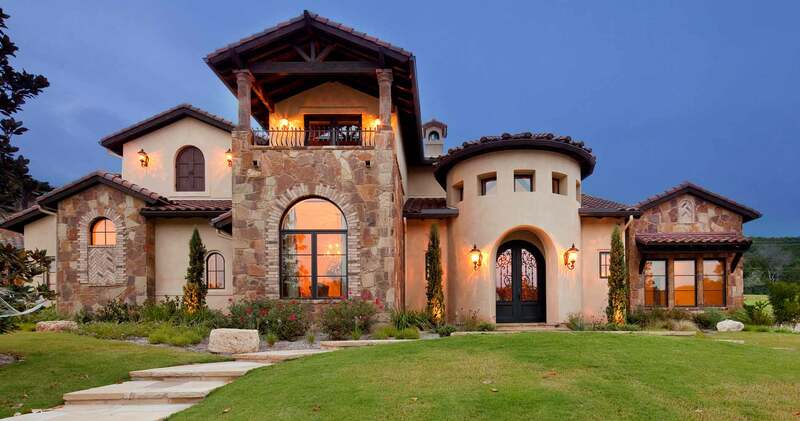 Great Mediterranean custom homes are marked by a rich patchwork of textures: rough stone, smooth stucco, intricate iron work. 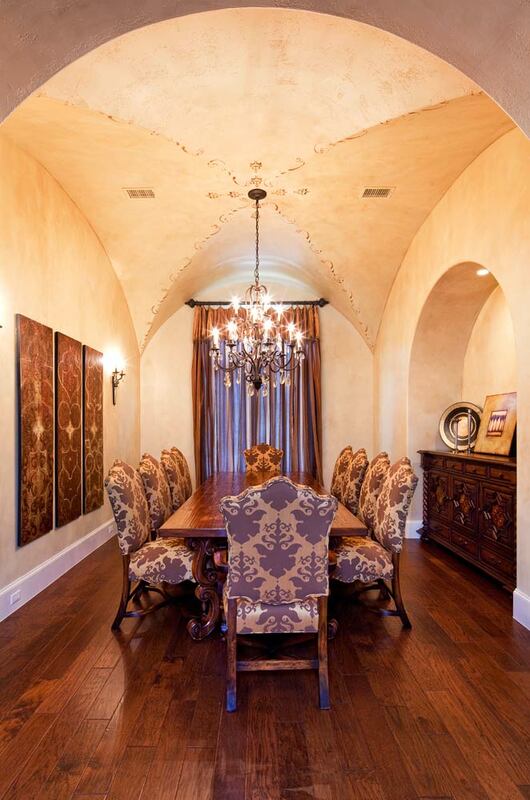 This example in a lakeside neighborhood in Austin is an excellent example. Each main element sits at a different distance from the street, giving additional dimension to the contrasting surfaces. 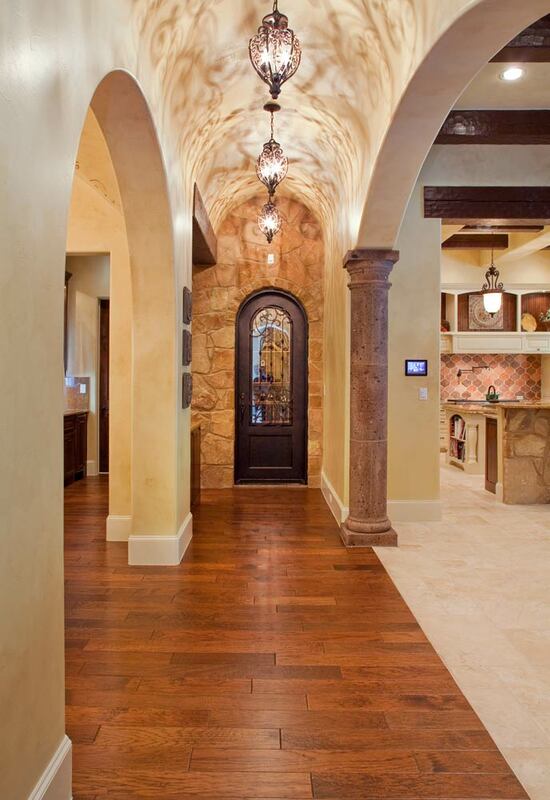 The trademark dual wrought-iron doors are inset into an entry turret and once inside, the theme repeats. 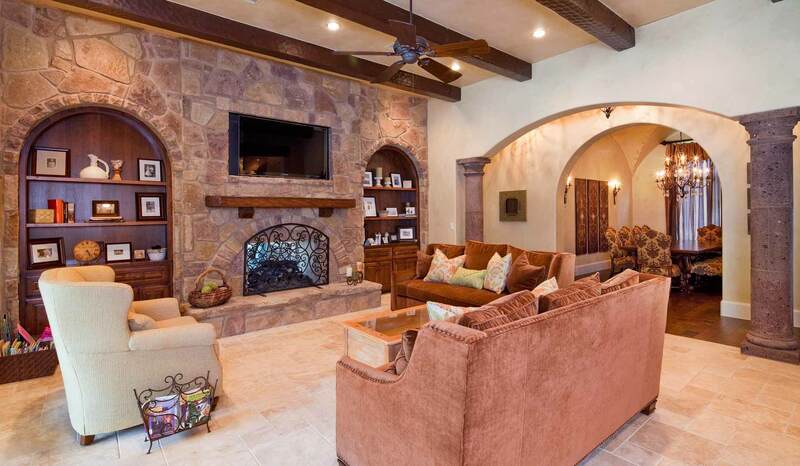 The living area mixes smooth, cool tile flooring with a wall of irregular stone that surrounds the fireplace, the TV and two arched memento insets. 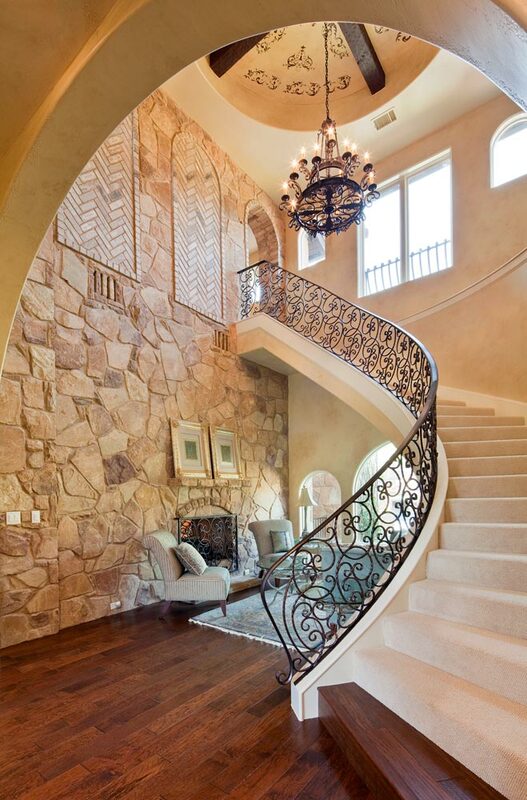 The generous curved stairway area offers a similar mix of rugged and refined with intricate wrought-iron railings and chandelier. 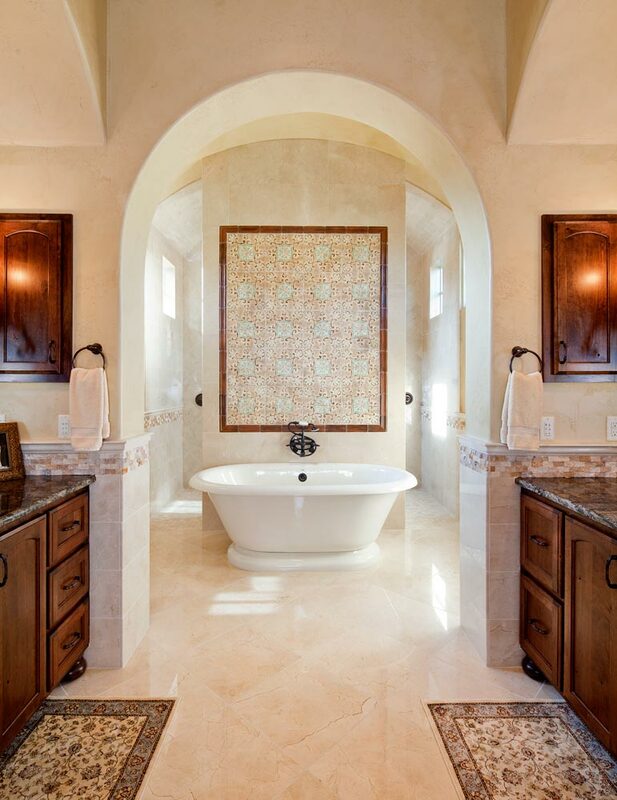 Interior symmetry is reserved for the formal dining room and the master bath, where a his-and-hers sink area frames a beautifully centered tub with a sophisticated tile backsplash. Like a fine tapestry these disparate threads all come together in the kitchen. 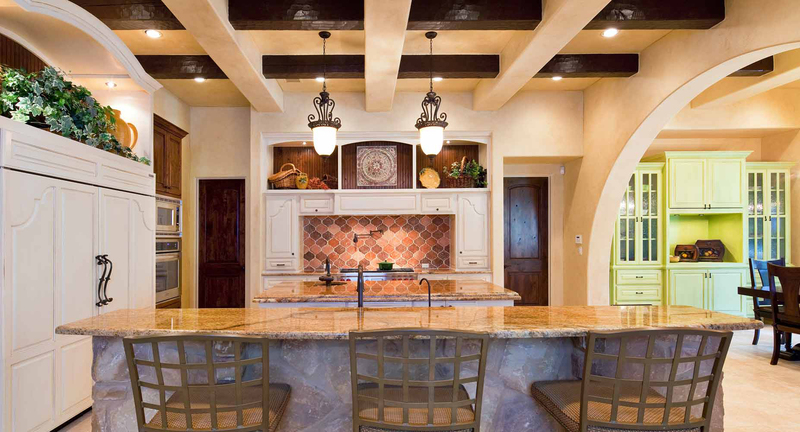 There the stucco supports and intertwined with rough-hewn wooden beams, inset canister lights are supplemented with classic pendant fixtures and two granite islands serve as counterpoint to kitchen cabinets that keep most of the modern appliances behind closed doors.